Sip and savor the flavors of Napa with Vista Collina and Festival Napa Valley. With a stunning atmosphere perfect for wining, dining, and exploring the beauty of Napa, Vista Collina is proud to host more than 70 local restaurants, wineries and artisans during Festival Napa Valley’s “Taste of Napa” event. 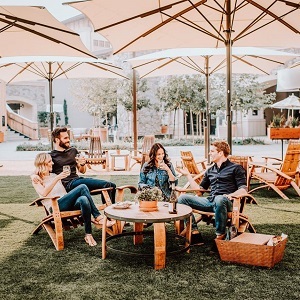 Relish in Napa’s most sought-after wines, rub shoulders with famed chefs, including their own Vincent Lesage, and bask in the sunshine at one of Napa’s most premier resorts. Featuring the best in Napa food, wine, and entertainment, Vista Collina invites you to discover your perfect Napa.